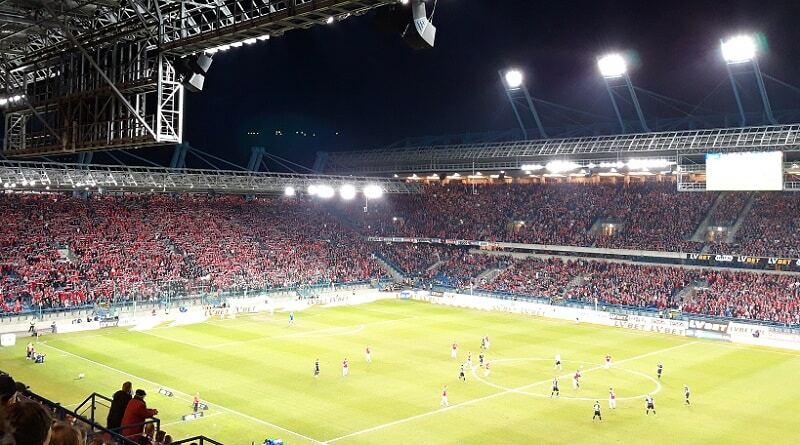 This is the big one in Poland, the Krakow derby, the Holy War! 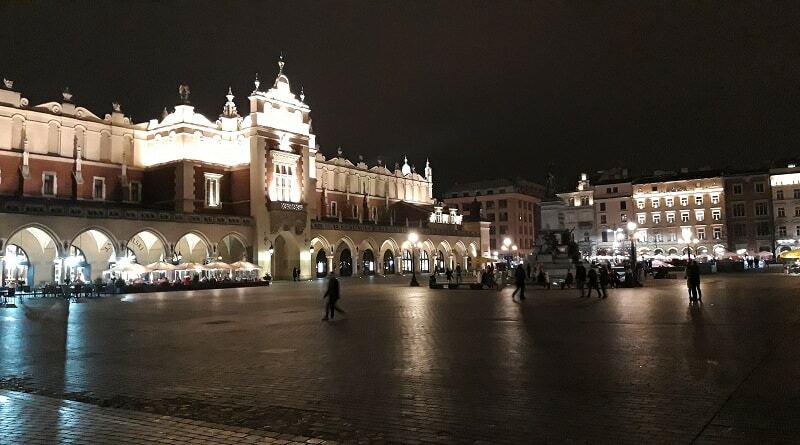 First of all, Krakow is the second largest city in Poland and Wisla and Cracovia is the two largest clubs in the city. 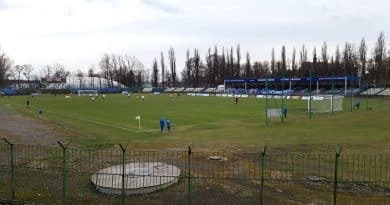 Secondly, the stadiums of the two clubs are only separated by the Blonia park, and the distance between the two stadiums is only about 700 meters. The two teams are really close rivals and these guys, over all. truly dislike each other! 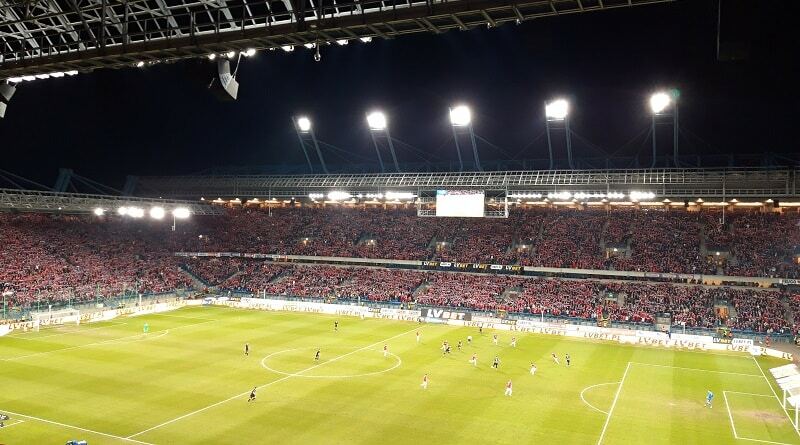 Amazing atmosphere at a packed and sold out stadium. Both sets of fans were really up for this one. 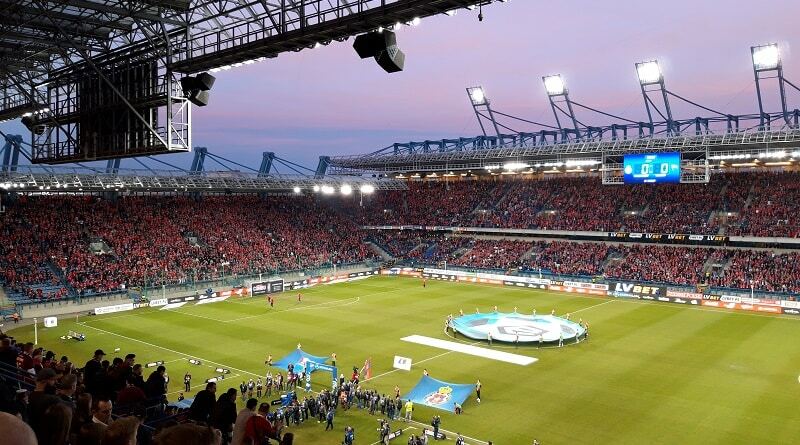 Wisla started brightly and went 2-0 up before 20 minutes play. 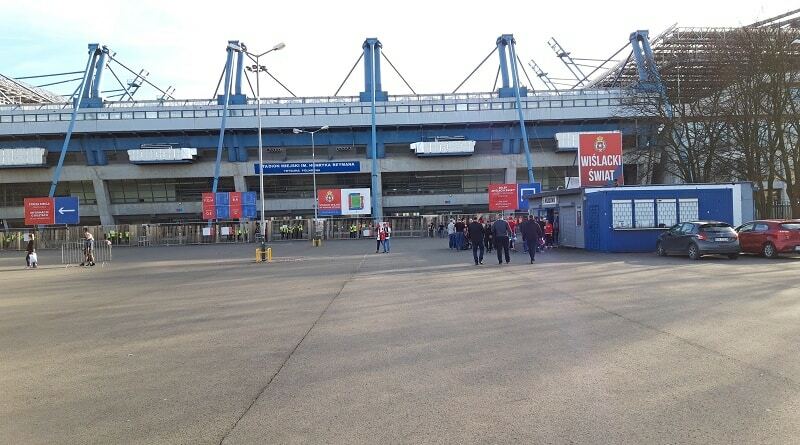 The be honest, the first half was sort of even, with chances in both ends, but Wisla were the more efficient side. 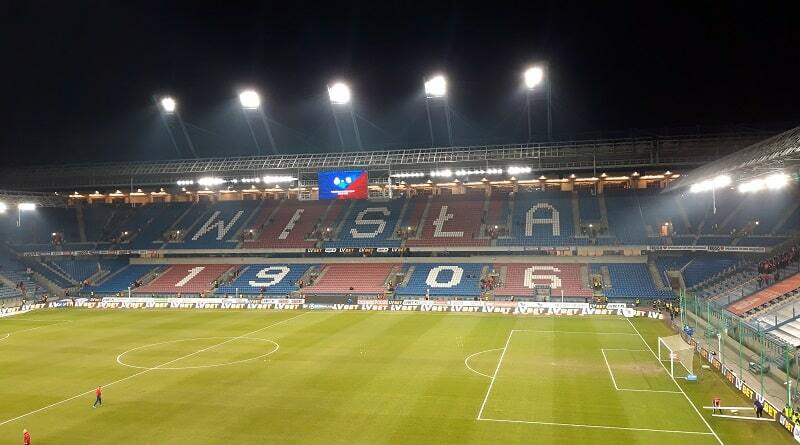 Shortly after the half-time interval, Wisla went 3-0 up through their captain and start-player Jakub Blaszczykowski. The match looked like it was over and the celebrations started. But this is the Holy War, and no team will ever surrender without a big fight. 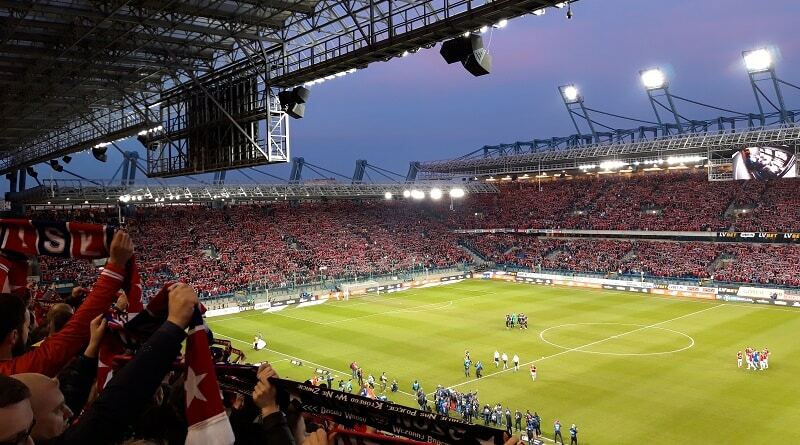 Cracovia gave it one last push and managed to pull two goals back. It was certainly a dramatic end to the match, but the hosts managed to hold on, and in the end won it by 3-2. A fantastic match with two great sets of supporters. 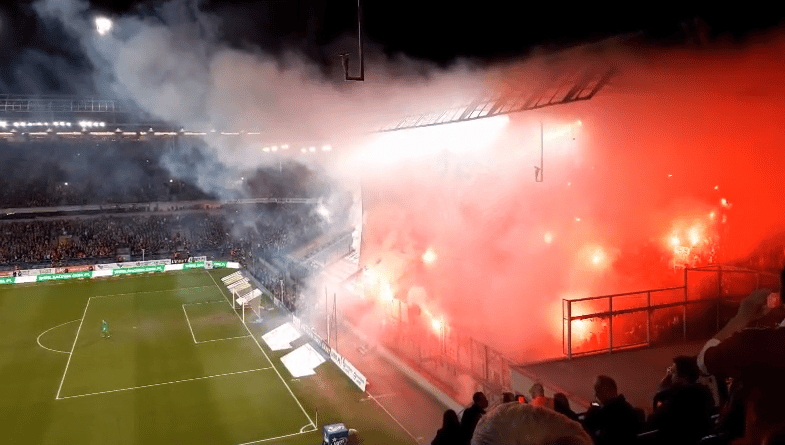 I have to say I had expected maybe some more tifos and pyro from the Wisla ultras. But as I understand, this was very much down to the difficult financial situation in the club. 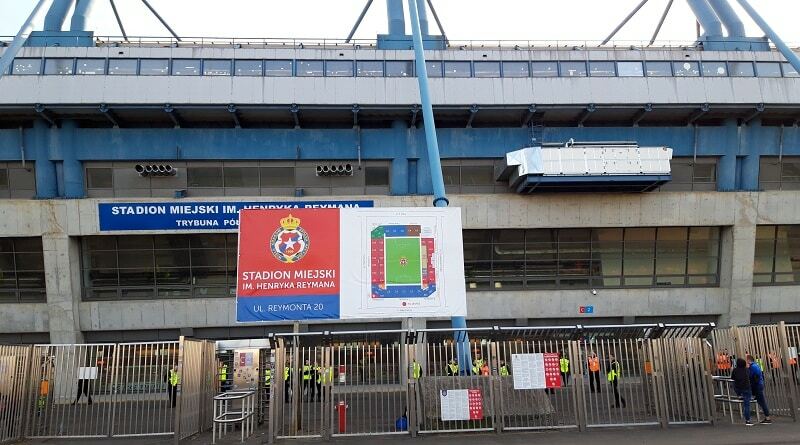 The fans did not want to risk the club receiving any fines, or even worse, a reduced capacity for the big match against Legia Warszawa. 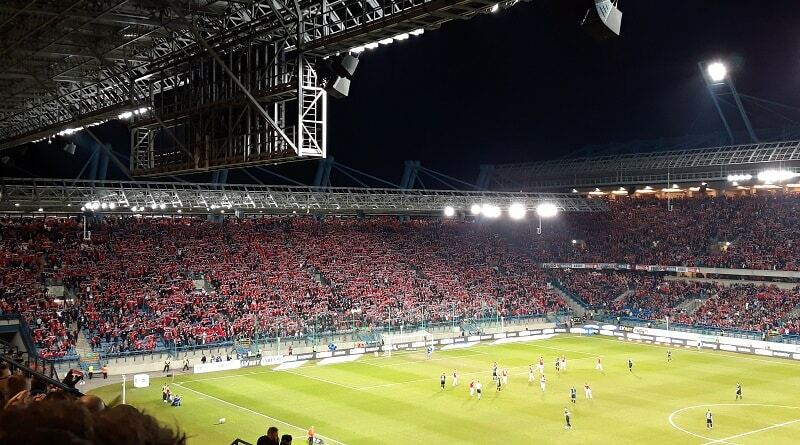 Polish fans are really special and they always give all they’ve got when it comes to supporting their teams. Don’t hesitate to make the trip if you ever get the chance. 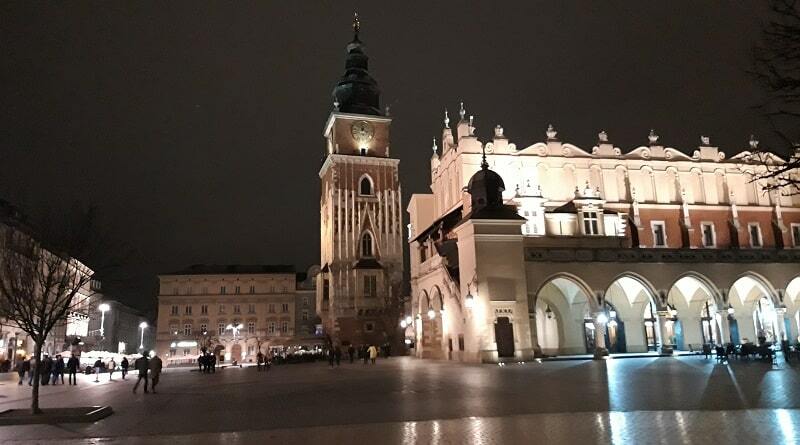 The Holy War is definitely something special and Krakow is a very beautiful city! Great atmosphere at the Holy War! 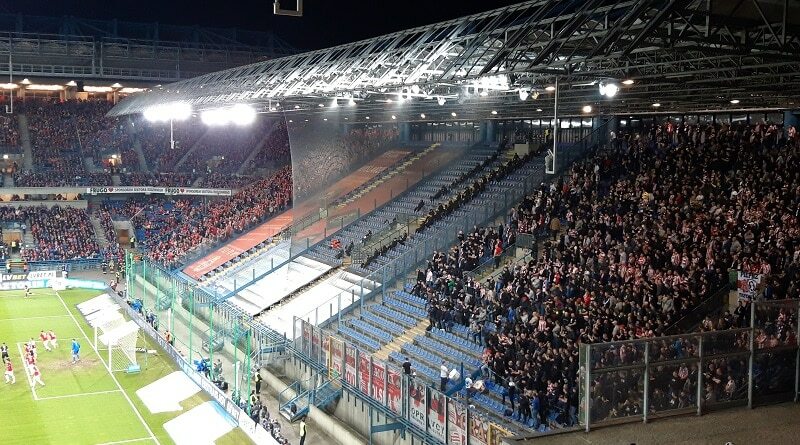 Cracovia ultras certainly firing up! 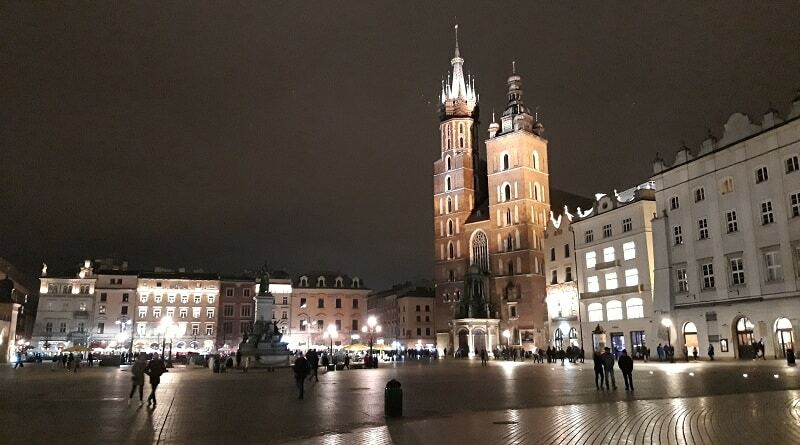 To sum up the beautiful city center of Krakow!